When asked: “If the landlord has not complied with tenancy deposit law, how much of the original deposit do you think the tenant can claim for when they leave the property?” Just 2% of respondents could correctly identify 'Three times the amount, plus the deposit’. That means 98% do not know the correct rights of the tenant. Perhaps even more worryingly, of those aged 55+, 70% said the maximum amount available to a renter was the full amount plus deposit. This includes some of society’s most vulnerable people, so they could be at risk from rogue landlords if they are not fully aware of the correct legislation. Of course, on the other side, if landlords are also not aware of the law, they could face large fines and hefty pay-outs to their tenants. The research asked respondents to identify where a tenant’s deposit should be kept during the duration of the tenancy. Two-thirds (66%) could not identify the correct answer - with a Government-approved deposit scheme - , amongst those aged 18-24, the number of correct responses fell to 16%. This should ring major alarm bells, as 65% of those aged between 16-24 live in rented accommodation, potentially exposing them to missing out on money they are legally entitled to. 8% thought the deposit was held in the landlord’s personal bank account and almost a quarter (24%) believed the letting agent looked after it. Regional stat breakdowns are available. 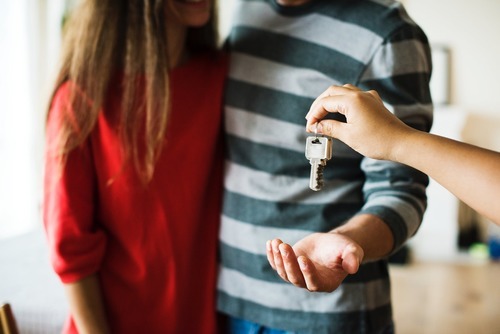 Just Landlords are one of the UK’s leading independent providers of landlord insurance and having been providing expert advice and services since the 1990s. This press release was distributed by ResponseSource Press Release Wire on behalf of Kin Communications2 in the following categories: Personal Finance, Public Sector, Third Sector & Legal, Construction & Property, for more information visit https://pressreleasewire.responsesource.com/about.